Gurgaon is a carefully planned city of Haryana that is part of the National Capital Region of India. It is a leading financial and industrial hub with one of the most considerable economic growth in the country. Owing to its huge employment potential and escalating residential demands numerous real-estate giants have acquired vast stretches of land in the city. One of the most trusted business groups in India, Hero Realty Private Limited is one of the most premium developers offering affordable homes in this city. 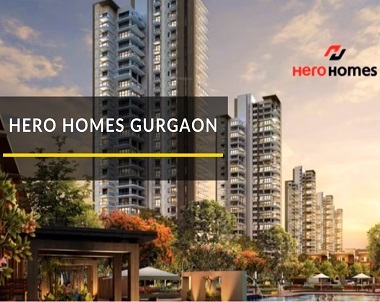 Rolling over an area of over 9 acres Hero Homes in Gurgaon features modern and vibrant housing solutions for the home lovers of Gurgaon. The project is located at sector 104 off. Dwarka Expressway in Gurgaon. Sector 104 is a leading locality in the city with at least 7 different builders working in the region. It is surrounded by the areas of Sector 105, Sector 106, Sector 102, Sector 103, Sector 37C, Sector 107, Sector 108, Sector 109, Sector 10A, and Sector 110. The developers of the project are a flagship company working under the Hero Corporate Service Limited, that is a widely recognized name in various Indian markets. Hero Realty has worked across the sectors of industrial, commercial and residential developments. Their dedication and passion towards their work are reflected in their unique designs and high-quality constructions. The company stands on the four pillars namely, Creativity, Fitness, Sustainability, and Communities. Their latest venture Hero Homes Sector 104 reflects their obligation towards sustainable green development. The project offers about 75% open space for a low density, state-of-art living experience. The free and luxurious lifestyle offered by the estate is embellished by the numerous world-class amenities offered within the gated community. Some of the key amenities provided by the developers are a swimming pool, community center, creche, yoga area, café, clubhouse, open gymnasium, and more. Various indoor and outdoor games have been facilitated within the project compound. A dedicated kids’ play village has been provided for children living in the estate. This play village has been equipped with swings, slides, small chairs and many other accessories for toddler’s fun activity times. A separate kids’ play area in open grounds has also been provided. The housing composite of the project is surrounded by lush greeneries and mesmerizing natural scenic views. The project site is surrounded by schools, colleges, hospitals, malls, and so many other places of interest. Popular educational institutes in close proximity with the project include, Gurugram High School, Kidzee, The tree House Playgroup Nursery and Day-care, Perfect Way School, Holy Cross School, Budding Blooms Preparatory School, Ujjwal Niketan, Mother's Pride, Indianapolis Public Schools, Sunrise Institute of Financial Management, Effect International School, Sanskrit Institute of Professional Studies,Royal Oak International School, and Hansraj Public High School. Prominent healthcare facilities in Sector 104 includeChirag Hospital, Sneh Hospital, Monica Hospital, Global Hospital, Chetanya Hospital, Bharadwaj Hospital, Jeevan Dhara Hospital, ESIC Hospital Gurgaon, Dr. Gautam Chabra dental clinic, Navjeevan Acupressure Service, Jain Sant Phool Chand Ji Charitable Hospital, Shree Tirupati Balaji Hospital, and Civil Hospital. 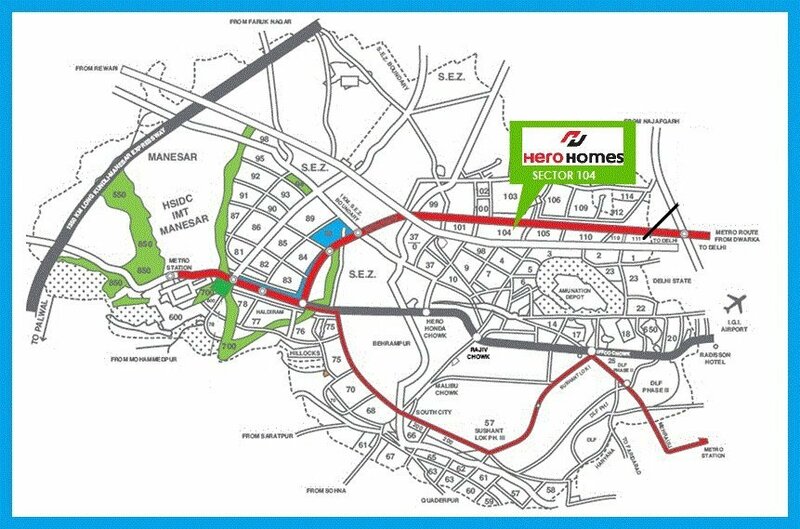 The magnificent campus of Hero Homes Dwarka Expressway includes various majestic towers of different heights. 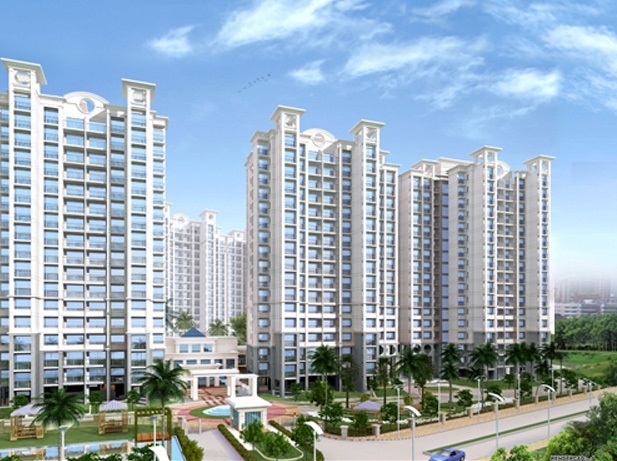 These towers have numerous apartments in various configurations of 2 and 3 BHK apartments. The apartments have been optimally designed for comfort and competence. The apartments have intercom facilities, inbuilt modular wardrobes, and modular kitchen with imported cabinetry. The interiors have been installed with high-quality designer vitrified tiles. Master bedroom has wooden flooring. The residential property has provisions for smooth automatic lift systems, power backup, and water supply, fire safety system, and ample open and covered parking. The plush outdoors has landscaped gardens that provide the estate with an open and green environment. According to industry experts, it is a good time to invest in Gurgaon’s property market. The rapidly developing physical and social infrastructure of the city has favorably affected the property micro-markets in the city. The proximity of Hero Homes with key office spaces and commercial zones make it a preferred residential destination in the city. The estate is a few minutes drive away from the nearest railway station, bus stand and is served by other forms of public transport. Indra Gandhi International Airport also shares its vicinity with the project site. The great future prospects of the region and its forecasted future capital appreciation make it an enormous investment opportunity. The level of living has been improving a lot in developed cities like Gurgaon.